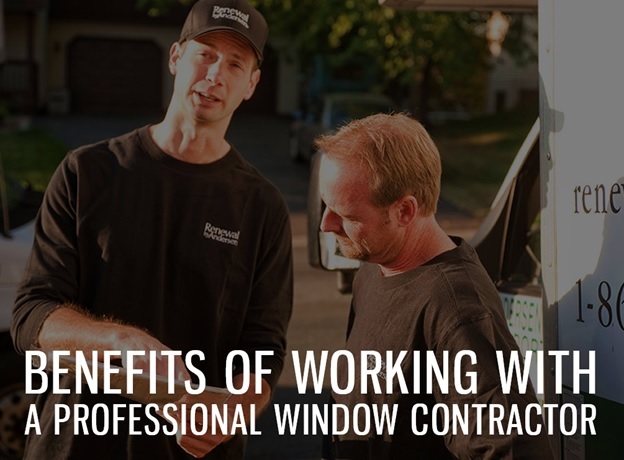 Window replacement is a major home improvement project that can have a great effect on your home’s comfort, energy efficiency, and curb appeal. That’s why you need to work with the right contractor. Renewal by Andersen® of Las Vegas can provide you with superior products, a stress-free installation, and one of the best window warranties in the business. You will benefit from some of the best products in the industry when you work with a professional contractor. Renewal by Andersen of Las Vegas is one of the leading window contractors in the area because we are an authorized dealer of Renewal by Andersen. Our replacement windows and doors have many great features. They include High-Performance™ Low-E4® glass, Fibrex® window frames, and our wide range of design options. A professional window contractor can also assure you of a smooth and stress-free window replacement. As an expert in window replacement, we’ll ensure that your replacement project is stress-free and convenient with our start-to-finish process. You don’t need to deal with any other companies, since Renewal by Andersen handles every part of the project. We can provide you with accurate estimates and schedules for your window replacement. A professional window contractor like us can also provide you with superior after-sales service. For example, our casement windows and other window types come with one of the best warranties in the market. This warranty covers both workmanship and product defects. It is also fully transferable. If something unexpected happens with your window, simply call us and we can get started helping you. You don’t need to worry about contacting and waiting multiple contractors and companies. Working with a professional window contractor like Renewal by Andersen of Las Vegas helps ensure your project’s success. Renewal by Andersen handles everything from manufacturing, to customer support, and from installation to after-sales service. This makes the window replacement process quick, simple, and convenient. We serve North Las Vegas, Green Valley, Summerlin, and many other areas. Call us at (702) 722-2052 to learn more about our products and services. You can also schedule a free in-home consultation.